The Tanita KP-601 offers six weighing modes - carat, gram, ounce, troy ounce, penny weight, and grain - offering convenience and accuracy for a variety of professional settings. Industries taking advantage of Tanita miniscales include pharmaceutical, laboratories, precious metals, precious and semi-precious stones, jewelry, law enforcement, and dental activities. In addition, the KP-601 brings new, unmatched convenience to the industry with its easy-to-read, dual blue blacklight LCD display. This dual display allows professionals and their customers the ability to view measurements at the same time, from opposite sides of the counter. The scale also provides a unique counting mode for processing large quantities of individual items. The KP-601's unique removable shield/lid eliminates even the slightest influence from drafts or air currents in the professional environment - providing the most accurate readings. 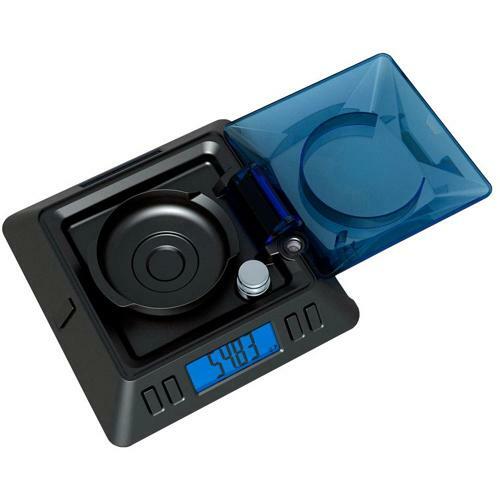 It also features adjustable feet, a liquid bubble level, soft jewelry case, gem cup, 100 gram calibration weight, and USB Port, and is backed by a one-year warranty. The miniscale includes an AC adapter or can be powered by four AA batteries (both are included with purchase). The scale weighs just 1.6 pounds and measures 7.3"x 7.4" x 3.0. 7.3" x 7.4" x 3.0"